As junk collectors, we see a lot of junk pulled from a lot of places. Attics, garages, crawl spaces, and storage units could house anything from antique furniture to boxes of broken toys. Disrepaired hot tubs and built-in grills collect rust on back porches. House closets hide any number of disorganized secrets, generating boxes of junk during annual home clean outs. But there’s some junk that’s not obvious to the naked eye. Before you start piling up junk for removal, make sure you’ve taken care of your fall home maintenance. Keep out the cold. Before temperatures drop too far, make sure your home is prepared for cooler weather. Replace old caulking on windows, lay new weather strips around doors, and add storm doors and windows where necessary. Fill in the cracks. Does your home have leaky shingles, peeling paint, or cracks in the sidewalk? Make repairs to your home exterior before the onset of winter to prevent winter damage. Take it outside. 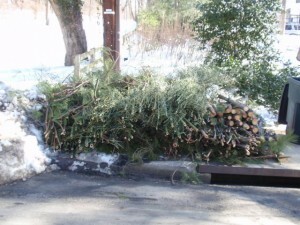 Do winter storms leave your yard strewn with broken branches and debris? Do you have a tendency to ignore the garden after Thanksgiving? Is your storage shed overrun with rusting garden equipment? November is the perfect time for landscape maintenance. Winterize your lawn and garden, take preventative steps to limit winter storm damage, and clean out the tool shed so you can greet spring with a fresh, clean look at the garden. Have you just finished fall maintenance, home renovations, or garden winterization? Call Mr Junk to haul off scrap, debris, and unneeded materials.